Crisis strategy experts can learn much from history to advance their leadership, spokesperson skills and knowledge. About every eight years, presidential historians rate US presidents for their overall leadership effectiveness. It is not surprising that communication and crisis skills are at the heart of these rankings: public persuasion, crisis leadership, vision / agenda setting and relationship skills and are nestled in the ten characteristics that determine these rankings. Historians have again crowned Abraham Lincoln as the most effective president in history and his crisis leadership score continually tops the charts, standing at a very strong 97.8. The US Civil War was quite a crisis and Lincoln’s leadership skills were put to the test through some dark and bloody days in American history. By learning from past crisis incidents, today’s leaders can help their organizations succeed in the midst of chaos. History judges organizations and corporate leaders on their crisis leadership. Today’s crisis becomes tomorrow’s textbook example of what to do or not do when responding to crises. 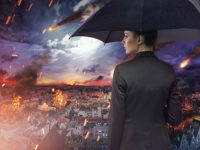 Weekly, you see news headlines about organizations and leaders dealing with crises that can be devastating to their careers, employees, customers – and even their very existence. The Weinstein Company, Duck Boats, Chipotle Mexican Grill, The Podesta Group, Uber, Equifax, Volkswagen, Wells Fargo, Takata, United Airlines, CBS’ Charlie Rose, NBC’s Matt Lauer – a very long and growing list of crisis casualties. Crises come with consequences. Some organizations are either sold or go out of business altogether. Some fire their leaders, while others limp along and recover over time. Still, others rebound quickly and enjoy even more public and stakeholder support once the dust has settled. Whether an organization dies, survives or thrives is greatly determined by its leadership – before, during and after a crisis. How Do You Judge Effective Crisis Response? In Part 2 of this special series on successful crisis leadership, you will learn about Jim Hart’s strategies, thinking and motivations as he fought off lawyers and battled daily to solve five major problems that erupted during the Edison crisis. Later, in Part 3, you will see the results of Jim’s motivation assessment test that reveals key leadership filters that greatly influenced his decision-making and crisis leadership strategies in Edison. To improve your organization’s reputation management capabilities inquire about our crisis consulting, training and coaching programs. You may call or reach out through the Contact Us form at the top of our website. Our team provides award-winning communication and leadership strategies to help leaders & Fortune 500 groups achieve their goals. Benchmark has consulted with and trained leaders and associates from all 50 USA states and more than 25 countries. * Benchmark Communications was honored to work with TETCO before, during and after the Edison crisis. TETCO’s PR leaders and crisis communications team were instrumental in creating a stakeholder-centric culture that was key to the company’s success in Edison. Their leaders also credited Benchmark’s crisis management, spokesperson skills coaching, media training and stakeholder communications training for contributing to their successful stakeholder and crisis response approach in Edison.